Looking to hike for a week or two on America’s oldest multi-state trail? Here are a few section hikes to consider. After dispensing with the usual disclaimers (hiking experience levels, how long you plan to be out, etc. ), I have to say these are my top five sections from the twenty-eight I hiked to complete the trail. You’ll notice that they are all in the 70 to 120-mile range, which reflects how much time we had to be on the trail. Over the years, we discovered that planning on ten mile days gave us plenty of time to enjoy the hike (one hour lunch breaks were common, as was stopping at noteworthy viewpoints). Your pace may be faster or slower. One more note: Don’t read anything into the order. It’s random. You’ll find fuller descriptions of each section (including trail profile maps) in my book Appalachian Odyssey. In fact, each trip has its own chapter. I’ll put it right out there. The Pennsylvania section of the AT has a horrible reputation because it’s rocky. But it’s hard to figure a mountain trail existing without them. Maybe it’s because I grew up scrambling over granite in New England, but I don’t find it that bad. Nonetheless, the AT in PA offers long stretches along ridge tops with often exceptional views. Highlights in this section include the view from The Pinnacle and the opportunity to take a side trip to Hawk Mountain Sanctuary, the first sanctuary in the world dedicated to protecting birds of prey. Want to extend your hike? If you continue south to Duncannon, it’s another 67.1 miles along Pennsylvania ridge tops. Another great hike for getting your trail routine down, I refer to this trip as “a hike through history.” A lot of Civil War fighting took place in the area the trail traverses, including South Mountain. You’ll also cross the Mason-Dixon line and hike into Harpers Ferry, a restored town with plenty of history of its own, via the C&O National Historic Trail. As an added bonus, once you’re done with your hike, you can cross “Maryland” off your list of AT states left to do. It’s called “The Hundred Mile Wilderness” for a reason. This is NOT the place to get your long-distance hiking routine down. If you find that you need something, you’re unlikely to be able to get it. If you’re carrying too much stuff, there are few responsible ways to get rid of it. And, there’s hardly any cell service. You’re far better off doing this hike after you have your chops down. That being said, it’s a beautiful stretch of lake- and stream-filled woodland punctuated by peaks rising above. In fact, it’s such a great experience, I’ve done it five times (just another advantage of living in Maine). If you decide to do it and you want to include hiking to the summit of Katahdin (the northern terminus of the AT), you’ll need a free permit. Note: The black flies are ruthless from late May until August. Up and down the Green Mountains you go! The southern half of the oldest long-distance hiking trail in North America is also the Appalachian Trail. It’s beautiful and fun. A nice ridge top hike through northwest New Jersey. Who knew? The Mount Rogers National Recreation Area is the gemstone of the hike. The trail ascends through high mountain meadows (complete with wild ponies). 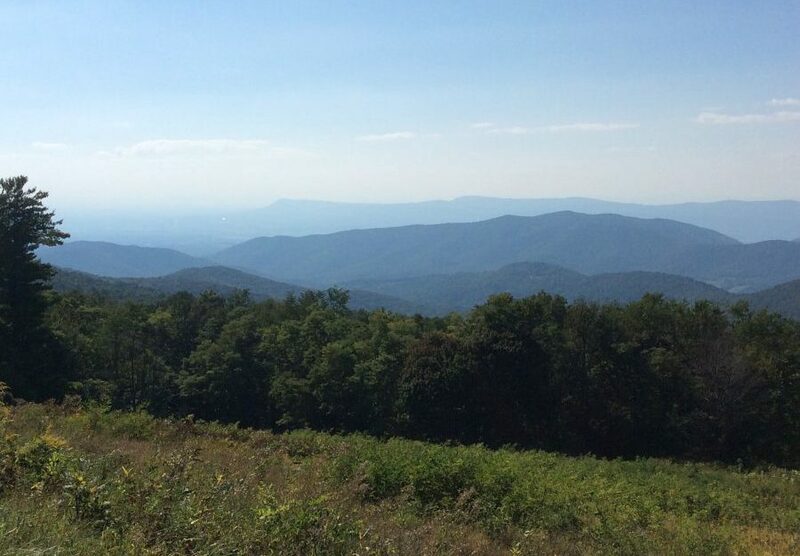 With elevations over 5,000’, including Virginia’s highest peak, it’s stunning. Truth be told, hiking in New Hampshire’s White Mountains probably deserves a much higher ranking on my list, but many sections can get crowded. Hiking across the rugged Presidential Range takes advance planning, especially if you are thinking about utilizing one or more of the Appalachian Mountain Club huts, located above treeline. Be prepared for extended travel above treeline where weather conditions are unpredictable and there aren’t many options for finding easy cover. I prefer visiting “The Whites” on weekdays, when possible.